investigate the nature of volcanic features and better plan future robotic and human missions to the moon. The new map was created using thousands of pictures acquired by the Wide Angle Camera, part of the LROC imaging system. 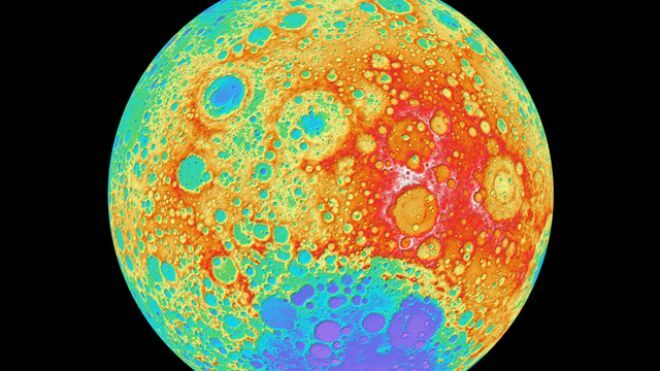 The new moon map doesn’t cover 100 percent of the moon because persistent shadows prevent the camera from snapping good photos near the north and south poles. However, another instrument aboard LRO, the Lunar Orbiter Laser Altimeter, can map out polar terrain.